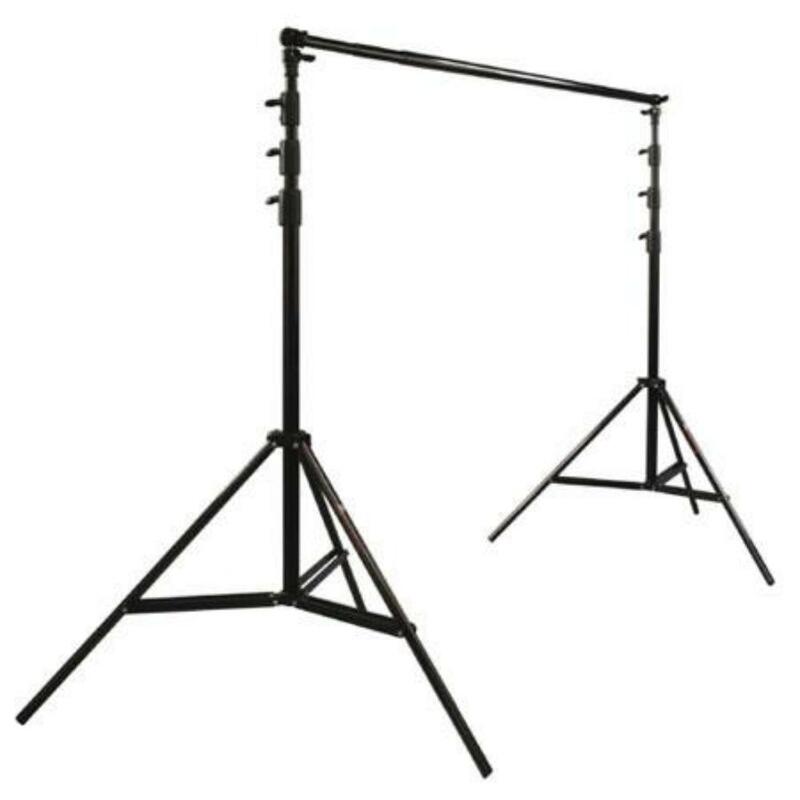 The Photoflex Pro-Duty Backdrop Support Kit is an easy-to-use backdrop stand with 2 "light stand-style" supports that hold a crossbar that gets up to 12.5' long. The entire kit can stand at up to 12' high and supports heavy backdrops up to 40 lbs. It is ideal for studio work. • A backdrop is not included with this rental. • Minimum Pole Length: 4'7"